"The Ecological Footprint is a fair metric for Slovenia to achieve its climate goals." 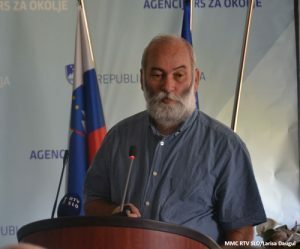 On September 11, Global Footprint Network Senior Scientist Alessandro Galli and Slovenian sustainable development expert Jernej Stritih presented their preliminary report on Slovenia’s Ecological Footprint at a public event hosted by the Slovenian Environment Agency in Ljubljana. Jernej Stritih spoke to us from Bovec, where he runs his consulting agency, and shared his insights about the process his country has embarked on. 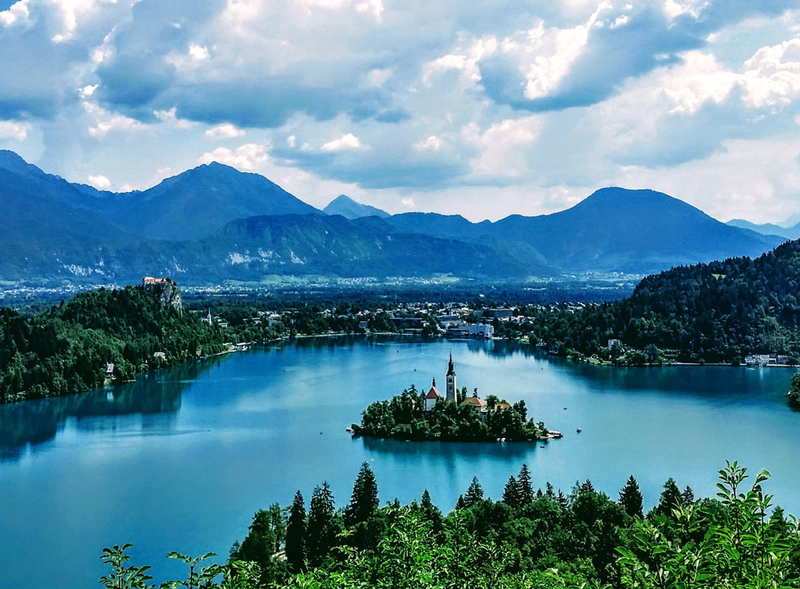 What are Slovenia’s goals for sustainable development? In 2017 the government made a commitment to reducing Slovenia’s Ecological Footprint 20% by 2030. Slovenia is also bound by the European Union’s goal, under the 2015 Paris Climate Accord, to reduce carbon emissions 40% by 2030. The two targets are obviously connected. We’re currently in the process of studying that interplay and identifying the policies that can help us achieve both. Why did Slovenia choose the Ecological Footprint while planning for policies related to sustainable development? The Paris Accord mentions only carbon emissions. But we feel that this alone is too narrow, because reporting our national emissions omits a large part of the total emissions that our consumption is responsible for. Consuming imported goods is tantamount to exporting emissions to countries that produce what we consume. More and more sustainability experts and activists in Slovenia have been advocating for the Ecological Footprint because we see it as a fair metric that takes trade into account. It makes it possible to track and report accurately all the resource use Slovenians are responsible for around the world. What did the preliminary report on Slovenia’s Ecological Footprint bring to light? We are working as consultants commissioned by the Ministry of Environment looking at three major sets of measures presenting opportunities for reducing the Ecological Footprint and for sustainable development: transportation, energy, and forest management. More specifically, we’re looking at promoting the use of electric vehicles in conjunction with decentralized solar power generation and battery storage , and ensuring energy efficiency for commercial buildings. We already achieved a 50% reduction of carbon emissions from residential buildings between 2000 and 2015, in large part thanks to improved insulation triggered by subsidies. Gazole and gas were also substituted by firewood – a policy that has relied on the tradition of sustainable forest management. Most of the biocapacity in Slovenia is provided by sustainably managed forests and we are analysing how the productivity of forests can be further increased. This is complicated by the emerging negative impacts of climate change in terms of extreme weather, drought and bark beetle expansion, leading to increased sanitary harvesting in the recent years. More active silviculture will be required to improve the resilience and carbon sequestration of the forests. We’re still working on finalizing calculations to quantify the expected impact of the measures. We expect the completed report with accurate data to be available before the end of this year. Then the Ministry of Environment will begin the measures-design phase in partnership with us, relying on our findings to push for regulatory action and for channeling investment of the funds dedicated to combating climate change. I expect this work will take a couple of years. Eventually, the Ministry will be in charge of implementing those measures. We’re also going to develop a network of experts, including within the government – I’m thinking especially of the Office of Statistics – who understand thoroughly how data is to be collected and reported. Indeed, the work will be meaningless if we can’t track impact and progress accurately. We can reasonably expect to start seeing impact within five years from now. The energy lobby is a powerful force. They’ve been pushing for a new nuclear plant and fighting against decentralized solar. They muddy the waters, spreading the myth that the net Foootprint of solar is higher than that of nuclear because of the panels’ lifecycle. Fortunately, they’re losing the cost argument these days. The road infrastructure lobby is another one we’re going to have to contend with. Last but not least, it will come to political will: can the government make sustainability a priority over the long-term? The current Minister of the Environment Jure Leben has a 15-year career as a sustainable development professional. In fact, I hired him as a young expert, back in 2009 when I was leading the Climate Change Office in the government. But governments are prone to change, especially when they rely on a coalition of five political parties as is the case today in Slovenia. What are some encouraging signs? Slovenians are strongly in favour of environmental protection. They are interested in reliable information, such as what the Ecological Footprint brings. They’re also more and more familiar with the Ecological Footprint: this year’s Earth Overshoot Day has been a huge media event in Slovenia, thanks in part to the great efforts of the nascent WWF office in the region and other NGOs. This month’s meeting was open to journalists and received very good media coverage. I was even interviewed on national television to talk about the Ecological Footprint and how it is the metric we need to achieve our development goals!